Working with Radek was an absolute pleasure from the day one and he explained the buying process very clearly. Radek responded to my emails/calls immediately and showed the houses that I wanted to see. He never rushed me to make a decision and answered my questions very patiently. Once I decided to make an offer on this house, Radek was on top of everything starting from preparing the offer letter to scheduling the home inspection, and every step of the process. As a first-time home buyer and coming from a foreign country, I relied heavily on Radek’s experience and he delivered the results beyond my expectations. 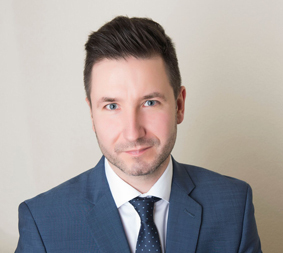 I can say confidently that Radek represented my interests sincerely during the entire transaction and I couldn’t have gotten a better realtor than Radek. I never thought that buying process was that easy, Radek made it look easy!! I would be pleased to recommend him to my colleagues and friends. I would give him 10 stars if I could!! Thank you Radek, you are a thorough professional!!! Keep up the excellent work!! !